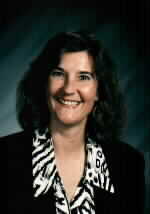 Cheryl Sackmann is an educator/facilitator who has worked with K-12, university and adult learners for over 26 years. She has specialized in teaching classes and facilitating workshops which focus on various aspects of communications as well as leadership skills and healthy lifestyle choices. She coordinates Peer Mediation, Peer Counseling, and Teen Tobacco Prevention/Cessation programs. She is also a Mediator for the Arizona Office of the Attorney General, the State Bar of Arizona and the city of Sedona, Arizona. In addition to the above activities and programs initiated throughout her career, Ms. Sackmann has taught English in middle school and high school, drama, gifted programs, and has sponsored a high school literary magazine. She has teaching certificates in Secondary, Community College, Administration and Supervision, Gifted Education, and ESL. She earned her M.Ed. at Northern Arizona University, her M.A. at the University of New Mexico, and her B.A. at the University of North Texas State. Sackmann's workshops are stimulating, informative, and life-changing. She assists adults and young people to gain the skills making them effective in helping others resolve problems of self-image and relationships, and is an successful motivator in helping people make healthy lifestyle choices. Cheryl Sackmann is a dynamic speaker who brings to life through role-play, song, group activities and simulations many of the concepts of counseling, mediation, and personality integrity needed for improving one's life and the lives of others.